What is the role of a Mek? I did tested , it won't kill wild giga in seconds . A lv 225 mek will brawl it out with a true wild lv 150 giga in several minutes and got its HP cut down to 1/4 . Lv115 mek against red drop , not a chance , video or bust . Ice titan node hit box bug. Whenever the wild ice titan jump into a building and twist its ankle , the hit box on corruption node will change , after that all shot firing at the node is not register and even damage the Titan unless you shoot from a specific angle and still not an easy task as the titan jump a lot trying to damage structure that was build too near the arena . I don't get why people think gacha loot OP . Oooh i got this 500% damage shotgun , so what ? people still freeze you with Mana and kill you with titan , and after server restart those damage number will revert back to 298 anyways . In facts , people need those gun to fight during Orbital / node defense as the corrupted dino level is higher than your tame especially red and purple . Now there is no hope for gacha Asc crystal . Orbital / Element node problems . After the patch that supposed to fix Corrupted dino attacking pathing and Mana ice beam accuracy , i stumble into 2 major problems with it . 1 -More case of corrupted dino not getting into the drop / node . Instead of following the same path at other dino , some jumped off the cliff in an attempt to run straight into the drop / node , which result in they stuck somewhere you don't even know . 2- Corrupted creatures become impervious to Mana beam the moment they touch the drop / node which force your Mana to get into melee and damaging the drop / node , this is unacceptable , especially when flyer attack the drop / node . My friend lost his lv 100 char because 10 mins after he transferred in an Extinction server , it crash and he rage quit . This is a game that punish honest players. Why GM can't give player Tek engams on official ? May be a server dedicated to save info of 1 survivor per steam user ? In case this happen they can just look for that char and restore . Tek engrams still can be unlocked by fighting boss if you in big tribe , the real loss is the imprinting bonus which somehow tied to survivor not Steam user . Player just transfer to a server and that server immediately crash which result in player lost his character forever along with hard earned tek engram and imprint . On unofficial an Admin can give those tek engram back to player who lost his char but why not on Official ? Do WC really want to piss off those who suffered from a bad game and bad server ? Not just Giga , any dino with fast torpor drop rate will get that bug . What i think is , due to server heavy lag , they didn't register the narco you fed to Giga , not until several minutes later , by that time it already too late . 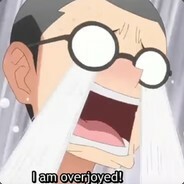 My tribe leader 's steam profile have gone silent for almost 2 years and the rest of the tribemate agree that he will never come back to Ark , or even worse , something bad may have happened to him IRL . Yet without the tribe leader , none of the admin can set tribe setting . So will WC admin agree to come and change tribe leadership if everyone in the tribe request to ? Because according to the rule , only tribe leader can submit ticket but if he gone for too long , then how the tribe submit request ? How to transfer ownership if tribe leader no longer play and unable to contact ? Then someone will already noticed , but there were no confirmation that tribe did tried to tame titan again . It is always the same 2 titans . Yes , they were tamed before the patch hit . Mek should have armor modification and do increase damage against corrupted dino in case someone lure one to them . And it will also worth bringing mek to orbital defense .